After a long hiatus, the R.B.I. Baseball series made a return in 2014. In each of the games since its return to gaming, the games have been criticized for not being all that enjoyable of a baseball game. While I was hopeful that R.B.I. Baseball 2017 would be a better experience than the previous entries; I didn’t really have high expectations. My hopes for improvement were squashed fairly quickly, as R.B.I. Baseball 2017 is the same lackluster baseball experience as previous years, just with an updated roster. R.B.I. 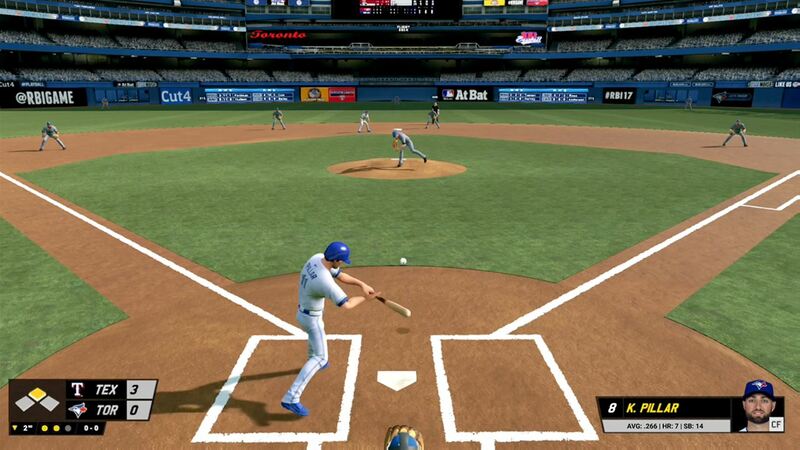 Baseball 2017 is an arcade style baseball game that offers players the full suite of Major League Baseball teams. Each home stadium and field are included in the game. R.B.I. Baseball has a very limited set of modes for players to try, but they’re all pretty much the same as you can either just play a quick game, play a full regular season with a team or just the postseason. Those are all the options for players to try, and this year’s R.B.I Baseball entry removes any online capabilities that were in last years game, meaning you can only play with other people locally not online. [Editor’s note: Online has been promised to return in a post-launch update] Once you actually jump into a game and play ball, R.B.I. Baseball will quickly make your regret doing so. With a litany of fielding problems and a.i. issues, along with the dated graphics, the baseball experience I was hoping to see quickly came apart at the seams and got smashed over the fence, leaving me kicking the dirt on the mound waiting for the manager to take me out of the game. Hitting and pitching – While the majority of the experience is lacking, the best part of R.B.I. Baseball is the hitting and pitching. The batting is simple as all players must do is press A to swing at the ball, but hitters can also slide in the batter’s box. This is where the slight strategy that the game offers comes into play, as the position that you are in within the batter’s box can determine how well, or if, you make contact with the ball. On the pitching side of things, pitchers can slide right or left on the mound and have the option for a normal pitch, a fast pitch or an off-speed pitch. Each of these pitches can be done by pressing A or pressing A and holding down or up depending on the pitch you want. Once the pitch is thrown, you can impact the movement of the pitch slightly by moving it with the d-pad or control stick. The arcade style pitching and hitting get the job done, and blasting a pitch over the fence or striking out a batter are as fun as you would like. Fielding is a mess – Trying to control or watch the computer field fly balls, pop-ups, and ground balls is about as rough as it can get. The indicator that is used to help show where a ball is in the air is incredibly hard to figure out. There were many times where I thought I had read the ball indicator well enough to be in good position, only to miss the ball completely and be stuck chasing the ball down with the sluggish outfielders. [Editors Note: we recommend this control scheme to assist with this issue] Eventually, I switched to assisted fielding, to save my sanity, which helped make the routine plays routine, but still I ran into problems where the a.i. controlled fielders could have easily snagged a ground ball but instead just let it go past as they moved to cover a base. Throwing the ball wasn’t much better, as the controls for throwing to a base are poorly done. A and the direction you press on the d-pad or control stick determine which base you throw to. There were multiple times where a player would throw a ball to the exact opposite base I wanted to, even though I was holding up to throw to second, the throw would go home, and the baserunners would advance. Fielding all around is a mess, no matter if you control it all yourself or look for help with the assisted controls, mistakes out of your control will be made every game and will probably leave you frustrated and ready to put the game down. Dull presentation – Having commentary and some resemblance of presentation are important to making a somewhat authentic sports experience, R.B.I. Baseball has none of that. The game has no commentary besides the umpire saying strike or ball, and if you’re looking for replays of great catches or hits, then you are out of luck. It also doesn’t help that the game looks dated and the fans in the crowd are just cardboard cutouts of the same 5 people scattered through the stadium. When I blasted a 3-run homerun with the Minnesota Twins’ Byron Buxton to take the lead at home, the crowd quietly cheered and the camera slightly changed position. The game told me the length of the hit and then proceeded with the next at bat, all of that combined is the best the game has to offer when it comes to presentation. Not a lot to offer – With game modes that all are pretty much the same besides the season modes tracking stats, R.B.I. Baseball 2017 just doesn’t offer many exciting modes or gameplay all around. 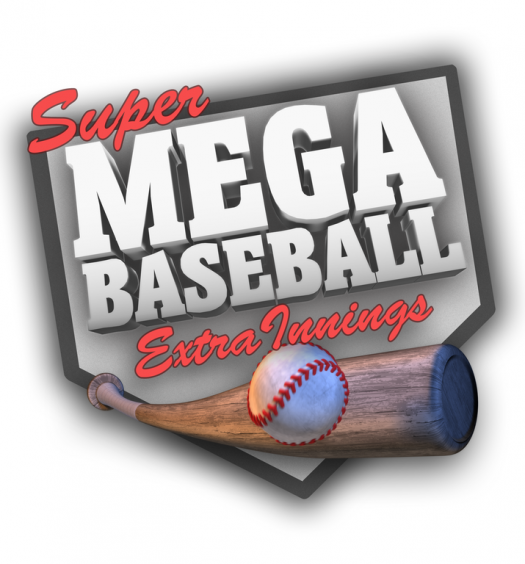 The game seems stuck between wanting to be an arcade style experience and wanting to offer a baseball simulation experience. It does neither one of these two things well, as the game doesn’t offer the more crazy and fun elements that an arcade experience should, but also doesn’t have the authentic and precise gameplay and management elements that a baseball simulation should have. All that is left is an experience lacking in every aspect a baseball fan wants in their game. R.B.I. Baseball 2017 is not a good baseball game. The game is plagued with bad fielding controls and animations, along with awful base running controls that will make you feel like you are playing against yourself. The hitting and pitching are fine, but not nearly good enough to keep you wanting to play more. The lackluster variety of modes is hindered even more by the absence of online multiplayer, making there even less to do than last year’s game. If you are looking for some sort of MLB experience on Xbox One, this is pretty much your only option. If you’re looking to play a good MLB game, though, then, unfortunately, you own the wrong console. R.B.I. 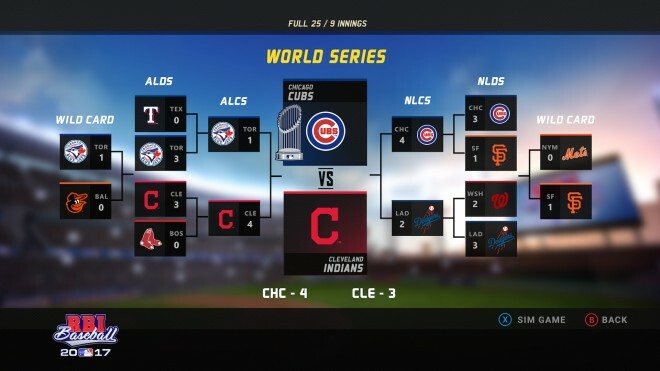 Baseball 2017 is developed and published by MLB.com. It released March 28, 2017, for $19.99. A copy was provided for review purposes.